In the world of T.V Shows, all roads lead to Charlie Sheen’s crack-pipe! The man is a pop-culture icon for all the wrong reasons and makes seasons party-ho veterans like Lindsay Lohan and Paris Hilton look like school girl amateurs. The best part is – he’s honest about it. For instance, when Jay Leno as him about his dating life on the Tonight Show, Charlie swiftly replied – “I don’t think what I do can be called dating Jay!” Just like that. No sugar coated clichés, no euphemisms, as brutal as Indian News Channels. There’s not a single talk show host whose day goes by without taking several shots at Sheen. The man is a blessing. Just when all seemed lost, with Michael Jackson gone, and George W. Bush out of office every talk show host was just about to throw in the proverbial towel, when out of nowhere Sheen came flying in to the rescue. To them, Sheen is a super-hero, nay, a God. Cape, Car, Coke, the whole package. 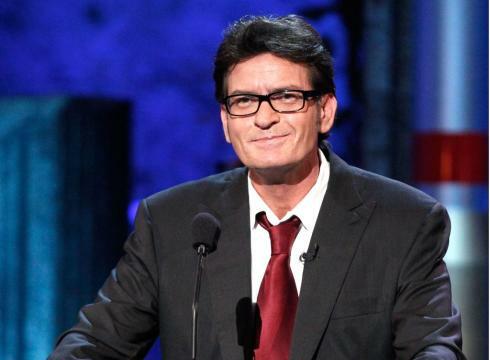 Charlie Sheen is at the centre of all things T.V this week. To begin with, he stopped all that “Tiger Blood”, “Vatican Assassin”, “Winning” non-sense. Then he made an appearance on Leno’s Tonight Show and surprised everyone with his composure and in the process won a few hearts with his disarming honesty. He followed that up by appearing on Comedy Central’s Roast where he took every joke like a man and even hit back with a few of his own. But why is all this important? Because just like at the recently concluded Emmy’s, we kick things off with Comedy. And as far a comedy goes, CBS has a pretty strong line-up. Two and a Half Men, How I Met Your Mother and The Big Bang Theory. Two and a Half Men (THM) is the longest running of the three and is the reason why I opened with Charlie Sheen. This was his show for 8 years before he finally lost it completely and verbally abused the show creator. He was fired for self-destructive behaviour among other things. With Sheen the show averaged 13-14 million viewers per episode, with an incredible 10 million viewership for repeat telecasts. The premiere of the new season is sure to give Two and a Half Men record viewership numbers owing to the curiosity surrounding the new guy. Ashton Kutcher replaces Charlie Sheen. Kutcher has made a habit of filling every slot (pun intended) previously occupied by actors who were big in the 80’s! It remains to be seen whether the show can sustain the numbers and continue to be CBS’ most profitable venture. Now this brings me to The Big Bang Theory. They started off with relatively modest numbers in their first season when they averaged 6-8 million viewers an episode. Even these numbers were largely due to the fact that Big Bang followed How I Met Your Mother on Mondays, at a time when HIMYM was at the height of its popularity. 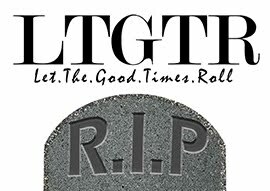 But BBT picked up steam in their second season when the most nerds finally realized the show wasn’t making fun of them, but was instead celebrating their nerdy awesomeness. They moved up a notch to 10-11 million viewers and were rewarded with a 2 season contract extension. Cut to the premiere of BBT season 5 and they’ve proven they can kick it with the best of them. 14.5 Million viewers on average and #1 in the coveted 18-49 demographic. They’ve got Emmy’s and Golden Globes in Jim Parson’s name to show for their efforts and their own A-List slot on Thursdays. The tables have been turned and How I Met Your Mother now needs BBT’s help. The show seems to have lost its way a bit mostly because all the characters are now in the mood to stop partying and “settle down.” That might work in real life but not on screen where HIMYM made a name for itself because of Barney Stinson’s outrageous character. The show’s still worth watching but isn’t as hilarious as it once was. BBT on the other hand is as funny as ever and Jim Parson’s Sheldon Cooper shows no signs of losing his comedic talents. The show creators have done a great job of keeping things fresh by introducing a few new characters. When the going gets tough, they to what anyone would do. Bring in the mother. Anyone’s mother would do. Sheldon’s, Leonard’s – they’re all just as hilarious. 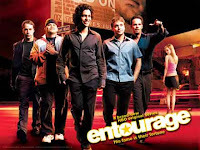 Finally – Entourage. There’s not a guy I know who hates this show. Girls for some reason seem to think they’re supposed to hate this show but it deserves a shot. The guys behind Entourage lost their way in Season 6, but pulled themselves together in Season 7. A strong, at times gritty season 7 laid the foundation for a phenomenal Season 8. Word is that Mark Wahlberg and company are in talks to make an Entourage movie. They couldn’t have ended season 8 any better, leaving enough suspense for people to look forward to the movie, or perhaps another season. “Tell me Charlie – How did you go from being T.V’s highest paid actor ever, to being the highest actor to ever be on T.V. Seriously, if you’re ‘winning’ then there’s something wrong with the F***ing scoreboard!” – Jeff Ross, on Comedy Central’s Roast of Charlie Sheen. P.S: To those of you who are annoyed I didn’t cover shows like House M.D, Modern Family, etc, I’m only getting started. Watch this space. To those who share my opinion that Mad Men is the greatest show on T.V right now, a little patience wouldn’t hurt, I’m still waiting on the official word.